Wolverine: With lycanthrope and particularly werewolf-like qualities. In nature, a ferocious carnivore, (mustelidae. ), with a reputation for viciousness and strength more in proportion to other creatures many times its size. 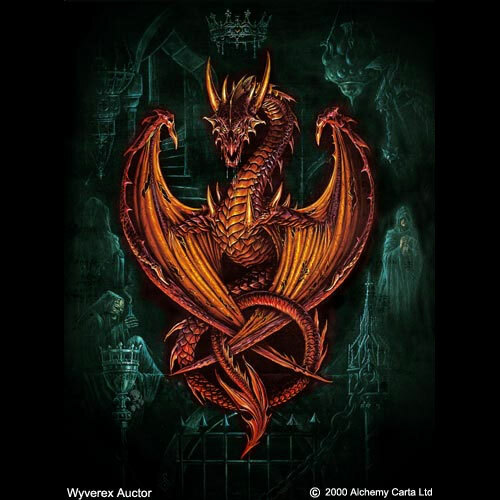 Wyverex: Winged, legless dragon of immense power and ferocity, from medieval European lore. Feared by evildoers as a righteous and relentless defender of good. Believed in the medieval period by many alchemists to be their patron guardian, arbiter and Recording Angel. Yhaweh: Earliest post-Jewish Mesopotamian form of Jehovah, later to become known as God. Originally spelt in Hebrew form without vowels; ‘YHWH’, the name was sacred, and was not to be spoken. Yhaweh also evolved in Gnostic lore, to become Abraxas, the ‘supreme being’, which was eventually corrupted and became known as a demonic creature. Zoroaster: Greek translation of the name ‘Zarathustra’. Ancient Iranian prophet, sage and mystic, believed to be connected to magic and occult practices in the Mediterranean during the Hellenistic Age, and founder of the Zoroastrian religion.